The new airline will operate under a revised Eurowings brand but will be flown under the air operator certificate (AOC) of SunExpress Deutschland using the latter’s cockpit and cabin crews. It will be based at Cologne/Bonn Airport and will initially launch operations from the end of 2015, serving destinations in Florida, Southern Africa and the Indian Ocean. The Lufthansa Supervisory Board has given the formal go-ahead to the ‘Wings’ long-haul, low-cost concept under development by its Executive Board, and approved the lease of up to seven Airbus A330-200 aircraft for the new operation’s intercontinental routes which will commence from Cologne/Bonn Airport from the end of 2015. The new airline will operate under a revised 'New Eurowings' brand but will be flown under the air operator certificate (AOC) of SunExpress Deutschland using the latter’s cockpit and cabin crews. It will be based at Cologne/Bonn Airport and will initially launch operations from the end of 2015, serving destinations in Florida, Southern Africa and the Indian Ocean. It will initially operate three A330-200s, configured with 310-seats, but will grow the fleet up to seven aircraft in the coming years. The New Eurowings business will sit alongside Germanwings under the Lufthansa Group umbrella and its reinvention follows the successful transfer of Lufthansa’s non-hub routes to Germanwings. This programme of transferring all Lufthansa routes not serving its Frankfurt and Munich hubs should be completed in early January 2015. In an initial step, the two already-existing airlines Germanwings and Eurowings will continue to perform their flight operations with their current networks and crews. For the new European operations the present Eurowings fleet, which consists of 23 Bombardier CRJ900 jets, will be replaced with up to 23 Airbus A320s between February 2015 and March 2017. Ten new A320s have been ordered, while up to 13 further A320s will be reassigned to Eurowings from existing orders held by the Lufthansa Group. 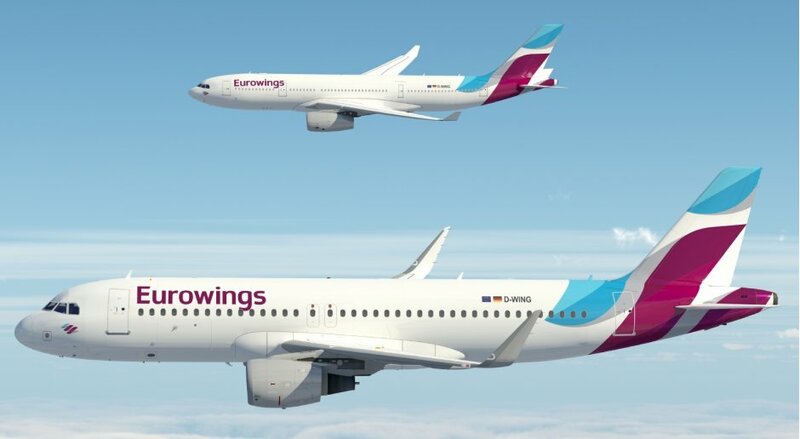 This will give the New Eurowings a standardised fleet of Airbus A320 aircraft by the end of 2017, by which time further routes will also be added to the its network, including the opening of a new Eurowings base outside Germany during 2015. The Lufthansa Supervisory Board believes the operations of Germanwings and the New Eurowings, including its long-haul offering, will enable the wider Group business to acquire new customers by offering quality products at attractive prices both in the low-cost short- and long-haul markets. “The ‘New Eurowings’ is our response to one of the major challenges confronting Europe’s airline industry,” said Carsten Spohr, chairman and chief executive officer, Lufthansa Executive Board. 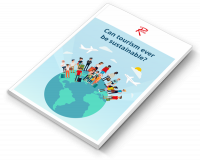 “For several years now we’ve been facing fierce competition from the rapidly-growing low-cost carriers in the point-to-point travel segment, not only in Germany but throughout Europe, too. “We are sure to see this competition extend more and more to the long-haul travel segment in the years ahead Our ‘New Eurowings’ is our innovative response, which will enable us to fashion our own markets here,” he added. The German national carrier has the ethos ‘New Lufthansa Premium Quality’ for 2015 and believes its revised business strategy will enable it to better compete with rivals while also offering an enhanced offering to its passengers – both in the business and leisure markets. The first quarter of 2015 will see Lufthansa conclude the installation of its new First Class throughout its long-haul fleet; the second quarter will witness the completion of the new Business Class installation program; and the third quarter will see the new Premium Economy available on all of Lufthansa’s intercontinental aircraft. The modernisation of the long-haul fleet will continue in 2015 with the arrival of two more A380s and four new Boeing 747-8s. Also due for delivery next year are a further 777F for Lufthansa Cargo and ten short- and medium-haul aircraft of the Airbus A320 family.